If you are suffering from dry chapped cracked hands, then you may be interested in reading this Best Shea Butter hand cream review. Shea butter is known to be a great moisturizer and it is loaded with vitamin A which helps to heal a number of skin conditions. One of the following Shea Butter hand creams should be ideal to soften and moisturize your dry hands especially in winter when your skin’s needs for adequate moisturization and protection are increased. 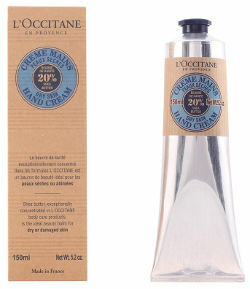 L’Occitane Shea Butter Hand Cream is a rich texture hand product that contains 20% Shea butter and other softening and moisturizing natural ingredients such as almond extract, honey and coconut oil. This shea butter formula is both nourishing and moisturizing and comes in a 5.2 ounce container. Moreover, it has gained some beauty awards. 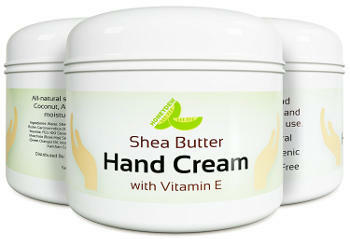 Users seem to love this shea cream saying that it is really moisturizing and it smoothens hands leaving them soft. It has a rich consistency that absorbs easily into their hands, it is not greasy and a little of it goes a long way. It also has a light scent making it equally popular for both men and women. 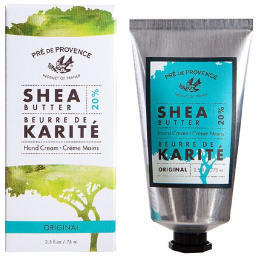 This Pre de Provence Shea Butter Hand Cream comes in a 2.5 ounce silver tube and contains no artificial colors. It is formulated to provide deep healing of dry skin on your hands and its size is perfect for carrying it in your bag or when travelling. Users find that it absorbs well and has a pleasant light lavender scent. They like the fact that it doesn’t leave any greasy residue behind and there is no artificial chemical smell in it. They also state that it works well on sensitive skin and heals cracked dry hands quickly and effectively. This J.R. Watkins Natural Shea Butter Hand Cream comes in a 3.3 ounce container and apart from shea butter it also contains some other effective moisturizing ingredients such as green tea, avocado oil, jojoba oil and coconut oil. This product is paraben, propylene glycol phthalate, and dye free. It is 98% natural, made in the USA and can also be used as a body moisturizer. Consumers give this cream very good ratings and reviews, stating that its quality is excellent. It has a really nice texture, absorbs well, is highly moisturizing and doesn’t leave behind any greasy residue. In addition, they say that it is excellent for people who must wash their hands multiple times during the day, healing the dryness and keeping their skin soft and smooth. If you are a fan of natural aromas that can lift up your senses before going out in the cold, then Lollia Shea Butter hand cream promises to give you a strong boost of divine essences coming from Italian Bergamot, Cinnamon, Pepper, Jasmine, Ylang Ylang, Vanilla Bean, sheer Amber Woods, and Rice flower. All these mixed with your favourite Shea butter and some extra moisturizing natural oils of Brazil and Macadamia nut. This cream is contained in a beautifully patterned 4 ounce tube and is packaged in a vintage inspired patterned reusable box which is surely going to make a great gift not only for others but yourself as well. This Nubian Heritage hand cream comes in a 4 ounce container and is enriched with soy milk, vitamin E and cocoa butter along with the Shea butter, Myrrh and other ingredients. The company promises long lasting moisturization and describes its properties as healing and protective. Users like its thick creamy consistency and the fact that it doesn’t leave behind any greasy or sticky residue. They say that it is extremely moisturizing and heals dry hands leaving them feeling soft and smooth. Burt’s Bees Shea Butter Hand Repair Cream is a quick absorbing cream that apart from shea butter, it also has other natural ingredients including cocoa butter, vitamin E, sunflower seed oil and calendula flower oil. It is contained in a 3.2 ounce tube and is free of parabens, petrolatum, SLS and phthalates. While users are very pleased with the effectiveness of this cream when it comes to winter dry, cracked and even skin bleeding hands and review how healing it is, a lot of people are not so fond of its smell. Some describe it as strong and not pleasant while others find it earthy and nutty. Another con of this product that few people mentioned is that it is slightly greasy and takes about five minutes for it to absorb. This True Blue Spa Shea Cashmere Hand Cream combines African shea butter, which is deeply moisturizing, with Cashmere extract leaves that leave the skin silky feeling and smooth. According to the company, it has a vanilla fragrance and absorbs quickly without leaving hands greasy. 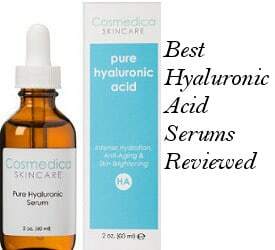 Users love the results of using this cream saying that it does a great job at moisturizing without being greasy. They also like the smell saying that it´s pleasant and not overpowering. Some people commented that it really gives a silky feeling to their hands and like the fact that the product lasts long. This Shea Butter Hand Cream comes in a 4.4 ounce tube and is formulated to deeply moisturize, repair dryness, soften hand skin as well as prevent the signs of early aging in your hands. Number one ingredient appearing in the list is raw shea butter which means that the product contains a good amount of it. Other nice natural components include castor oil, cacao butter, mango butter, jojoba oil, vitamin E, frankincense extract and Japanese Honeysuckle Flower Extract. Users give this natural hand cream exceptionally good ratings and reviews, stating that it is extremely rich and it only takes a small amount of it to absorb into your hands leaving them feeling softer and healthier. They also say that it really does help to heal dry cracked or chapped hands and they like that the size is small enough to easily carry the product in a purse. The FarmHouse Fresh Shea Butter Hand Cream does not contain as many natural ingredients as the previous creams in this review. 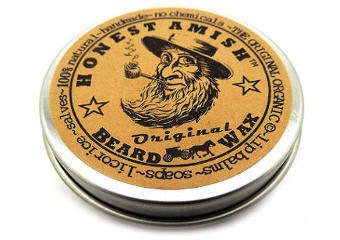 According to the manufacturer, it is lightly scented and doesn´t feel greasy. It is contained in a 2.5 ounce tube. Most users like this product and it seems that they are mainly busy trying to describe its smell. Some descriptions include ¨ buttercream frosting¨ and ¨yellow cake batter¨ so while most people enjoy this type of essence, few others find it too strong and sweet for their taste. People also mention that the cream goes on smooth, helping with hand skin dryness, and absorbs well without leaving any greasiness behind. This Honeydew Shea Butter Hand cream is fragrance free and therefore suitable for both men and women since most men tend to dislike sweet essences that smell more feminine to them. Moreover, this is the only cream in this review that has a manufacturer 100% money back guarantee. 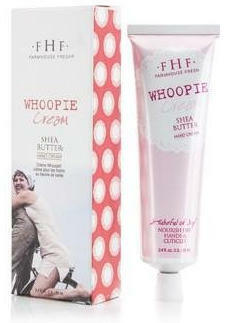 According to the company, this is an all natural hypoallergenic hand cream that is perfect for very dry cracked hands. 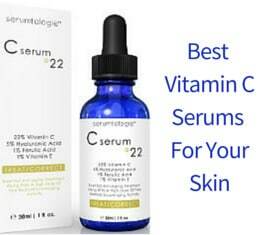 It is also designed to reduce old scars and age spots. This skin soothing and repairing shea butter hand cream contains other natural ingredients such as avocado oil, aloe vera, coconut oil and more. This J.R. Watkins Natural Shea Butter Hand Cream is another version of the Watkins cream reviewed before but in a different essence. For some people this version is overly fragrant but for others it smells very nice. Apart from the different opinions regarding its smell, there is one thing that all reviewers agree upon and that is its super moisturizing and hand skin soothing properties. There are a lot of people using it on other parts of their body that their skin is dry as well. It makes hands soft, absorbs well and is easy to carry with. Apart from Shea Butter, this Seacret Hand Cream also contains Dead Sea Minerals which will nourish your hands and help the skin be healthy. Users review that this is a thick cream that works great for dry cracked hands. They think it is effective but it is rather expensive. 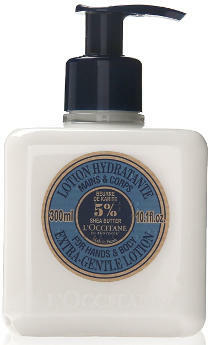 I chose to include L’Occitane Shea Butter Lotion for Hands & Body because although it is a lotion and not a cream, it contains shea butter and is suitable for use on both hands and rest of the body. As a lotion it is a light formula that feels silky and contains 5% she butter as well as other moisturizing and skin softening natural ingredients such as oat milk and honey. Users comment that it soaks into the skin wonderfully and moisturizes well. It doesn’t feel oily and a little goes a long way. The only disadvantage though is that it is a bit pricey but some people have mentioned that it is worth the money. This Le Couvent Des Minimes hand cream comes in a .80 tube and contains such skin healthy ingredients as shea butter, honey, and sweet almond extract. Keep in mind though that this is a travel size version which people find very small to be worth the money they need to pay. Apart from that, users seem to love this product for their hands stating that it absorbs quickly and does not leave them with a greasy feeling skin. It has a nice scent and keeps hands soft and moisturized. In conclusion, finding the best shea butter hand cream is a good way to deal with dry chapped cracked hands or just keep your hands feeling soft and well moisturized during those colder winter months.